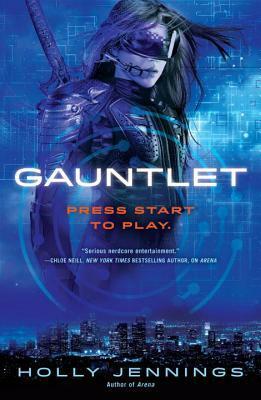 Synopsis: Plug back into the dangerous world of virtual gaming, in the next thrilling novel from the author of Arena. About the Author: Holly Jennings is a self-proclaimed nerd and lover of all things geeky and weird. As the firstborn to a sports enthusiast, it was soon discovered that the only games she'd ever learn to master involved consoles and controllers. Her childhood was spent crushing virtual foes, racing on simulated tracks, and rescuing digital princesses. As a young adult, she fell in love with English class, speculative novels, and comic books, which inspired her to create stories of her own. Eventually, her passions converged and she started writing about the future of video games. Review: WOW I honestly don't know where to start!!! I loved this even more than the first book. I wish I could give it more stars. Kali is such a strong female protagonist, but she's still human. The struggles she and the team face feel real, and the fight scenes are vivid and immersive. The ending had me crying because it was over, and I wanted more!